"This summer I was blessed with the opportunity to work the Detroit Lions! My experience with the Lions is one I will never forget! From the moment I arrives, it felt as if I was a part of the family. I got to work with and learn from some of the best certified trainers in the league! 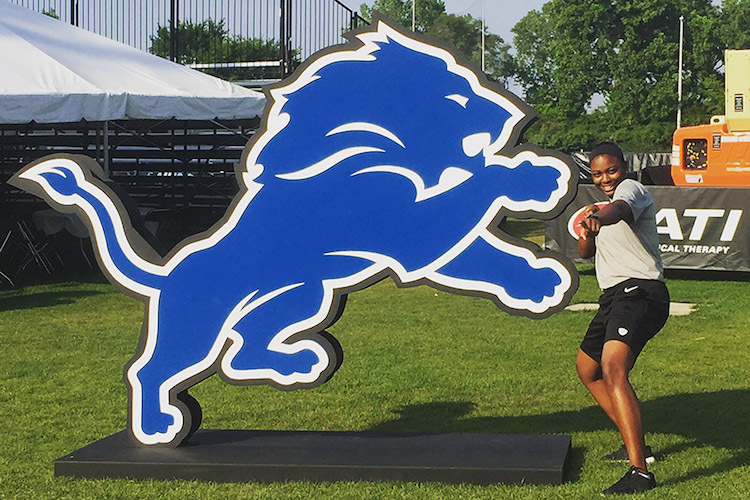 Being one of the first two girls to work for the Lions athletic training staff was definitely a blessing and I'm glad our positive experience can eventually open up the doors for many girls to come! I will take everything I've learned from my internship with me throughout the rest of my athletic training career!"